Want to get in on the conversation? Our programs and reporters are always looking for ways to connect with you for insight and engagement. Join us on Facebook and Twitter, watch us on YouTube, and add your gorgeous photos to our Flickr community. You can get your KQED any way you like it. 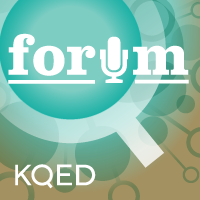 View KQED’s Community Discussion Guidelines. The best news, program updates, and unique offers from your Northern California PBS and NPR station. Insightful news and public affairs reporting for the Bay Area, California, nation, and world. Daily arts news, reviews and podcasts from around the San Francisco Bay Area. A glance at the free educational resources we offer that include digital tools, teacher trainings, and events. Updates on public health and health policy news from around the state, and nationwide. 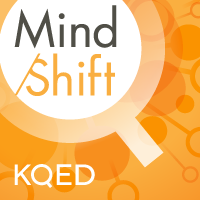 Updates and behind-the-scenes information from KQED’s weekday morning live call-in program. Daily coverage of issues, trends and public policy decisions affecting California and its diverse population. A window to KQED’s popular food blog, featuring culinary rants and raves from Bay Area foodies and professionals. KQED’s restaurant review series in which Bay Area residents discuss their dining experiences. The official page for the renowned chef and television series host Jacques Pépin. Explore award-winning multimedia coverage of science and environment news, trends and events from the Bay Area and beyond with KQED Science. Exploring the future of learning, including cultural and technology trends, groundbreaking research, and innovations in education. Stay up to date on the national series featuring the best student films from American universities. News and updates for KQED’s showcase of the best indie documentary films about life in The Golden State. News and updates from the Bay Area and beyond. Insightful news and public affairs coverage. Arts and culture updates from around the Bay. 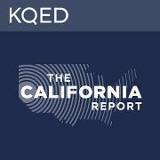 The latest food news and program info from KQED, including Check, Please! Bay Area, Jacques Pépin, and Bay Area Bites. The latest on what’s happening in the Bay Area restaurant scene. Updates from the renowned chef and television host Jacques Pépin. Culinary rants and raves from local foodies and professionals plus food-related news beyond the Bay Area. 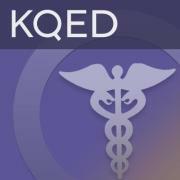 Science and environmental coverage from KQED Science and more. The latest in health news plus more from The California Report. Updates on the future of learning, covering cultural and tech trends and innovations in education. Updates on educational tools, trainings, resources, and events for teaching and learning. The hub for all of KQED’s videos and playlists. Insightful Bay Area news, in-depth coverage from The California Report, conversations on Forum, NPR, PBS and more from Northern California. Covers arts news for the San Francisco Bay Area. A new film premieres every other week! KQED Bay Area Life helps you explore food, culture events and life in the Bay Area. A collection of interviews, educasts, and community-created media by youth and educators. This KQED-produced series offers insightful, thought-provoking discussion and news analysis on local issues, arts and culture, science, and more. Discover the challenges, opportunities and rewards of making art. 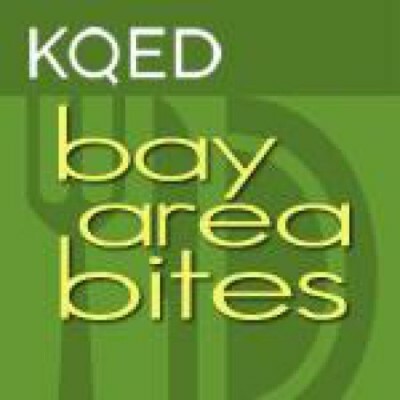 Segments from KQED’s weekly restaurant review series in which Bay Area residents discuss their dining experiences. A monthly video podcast of the hottest art in Northern California’s coolest galleries. We’re your NorCal NPR & PBS stations. Come behind the scenes with us, won’t you? News photos from Northern California’s public media station. We <3 Bay Area igers! Take a look behind the scenes at Forum. 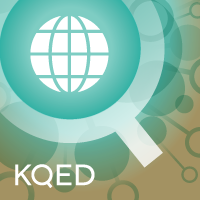 Explore Bay Area science, nature and environment stories with KQED Science. Boards about all your favorite KQED programs and subject areas. Arts from around the Bay Area. Science and environmental coverage from KQED Science. Curated comments and reactions from Forum shows and social media. Photos from the KQED community. Food photography from all over the Bay Area and beyond. Restaurant photos from the program and snapshots from our live events. Photos of Jacques Pépin and his guests and crew as they tape the upcoming new series from KQED. Self-guided art tours around the Bay Area art scene as well as photos from the Spark educator workshops and sets on other local art happenings.